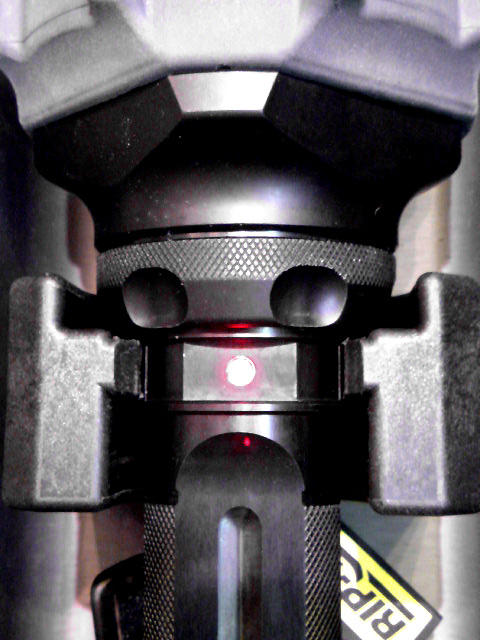 We knew we were creating a monster when we built the Beast Rechargeable. 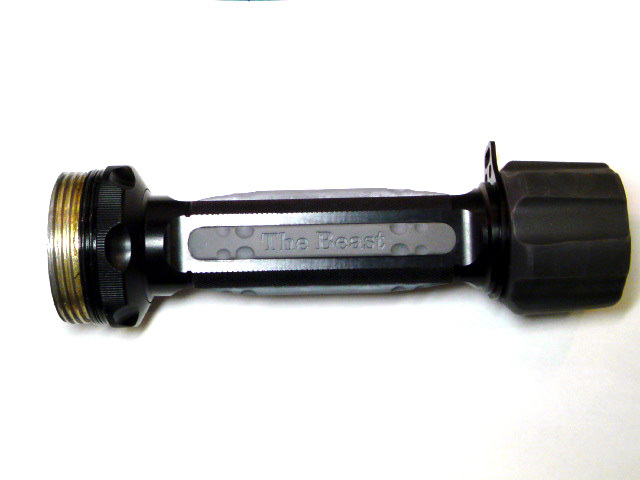 But it was by design—for certain applications only monstrous power will do. 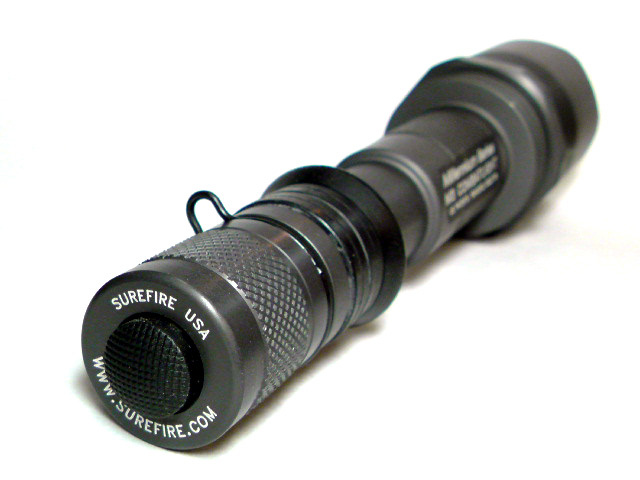 Standing 19 inches tall and weighing in at 5.5 pounds with its rechargeable handle in place, the Beast dwarfs the rest of SureFire’s flashlight product line. 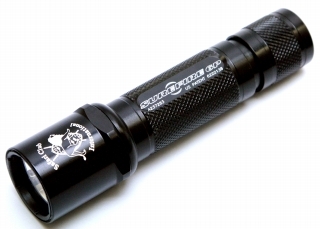 Yet it’s still portable enough to be an effective handheld light source that packs a big wallop. 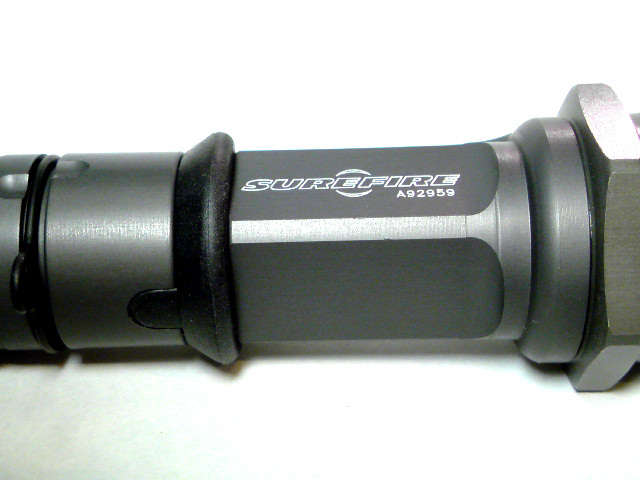 A 2,300-lumen wallop, to be precise. 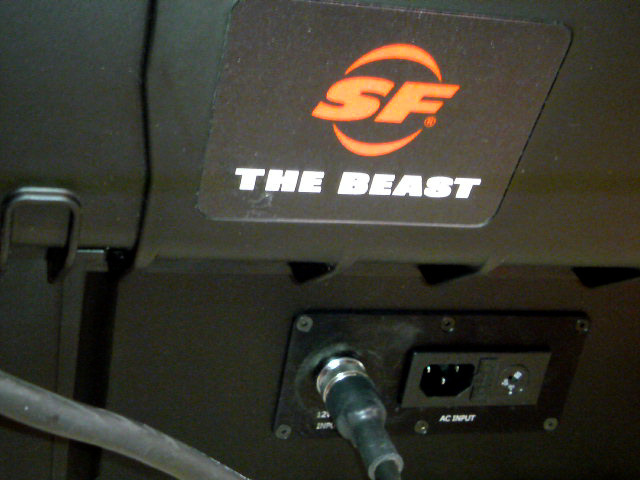 The Beast isn’t all bite, though. 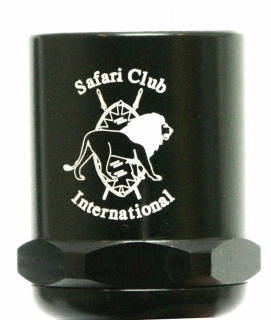 With a twist of its rotary power ring, you can change its output level to a soft growl by activating the 12 secondary LEDs (six white and six ultraviolet) that surround its primary HID lamp. 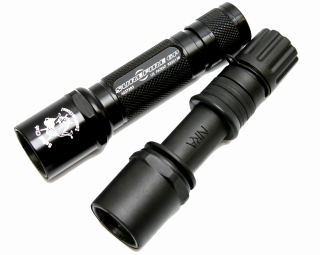 The 12 lumens of soft light they create is perfect for reading maps, navigating trails, or any other close-quarter tasks where throwing out 2,300 lumens of light is tantamount to watering the flowers with a high-pressure fire hose. 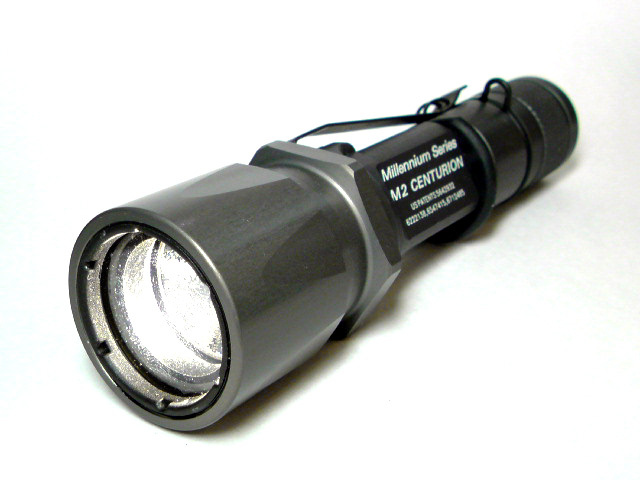 The ultraviolet LEDs are especially helpful in authenticating drivers licenses and other documents, as well as illuminating scorpions and other not-so-friendly desert arachnids, making the Beast Rechargeable a natural fit for law enforcement, military, search-and-rescue, and border patrol applications. 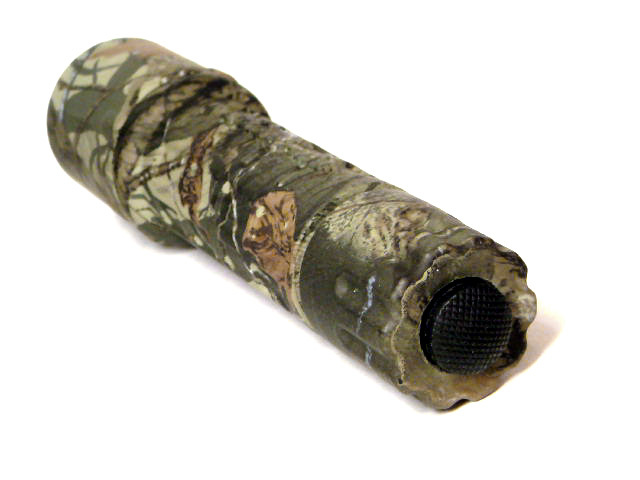 Sporting an O-ring sealed, hard-anodized aerospace-grade aluminum body that lives up to its feral name, the Beast can thrive in virtually any environment, including one with no electrical outlets in which to plug its charger, which is fully integrated into the Beast’s weatherproof case. 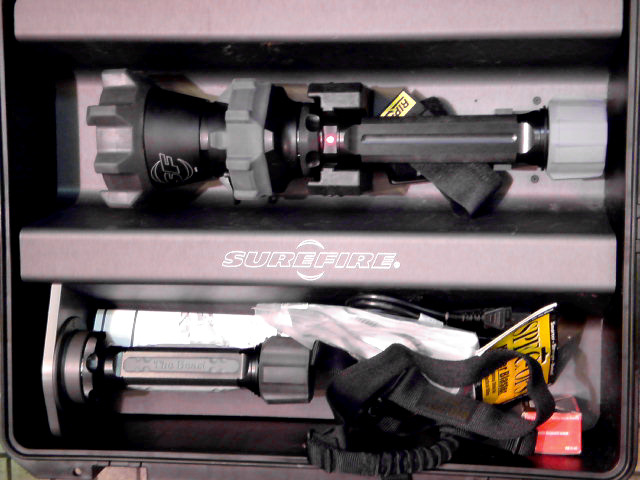 So should you find yourself in an area with no electricity, you can recharge the Beast’s lithium-ion handle using your car battery (adapter cable included) or simply swap the rechargeable lithium-ion handle with the included spare handle that holds 20 disposable lithium batteries. 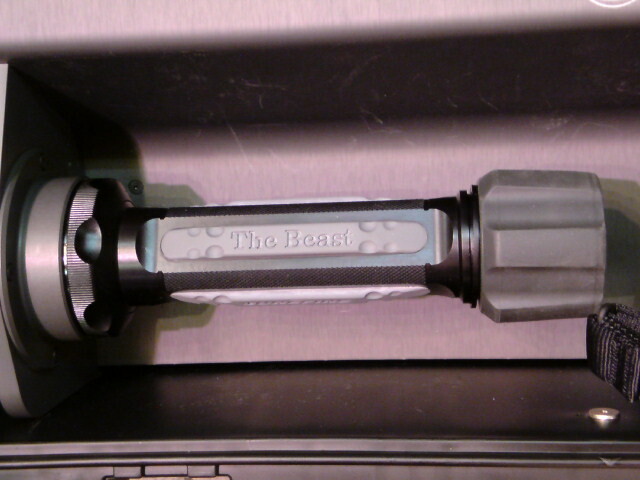 With a spare handle always at the ready, the Beast Rechargeable can remain on the prowl pretty much 24/7. 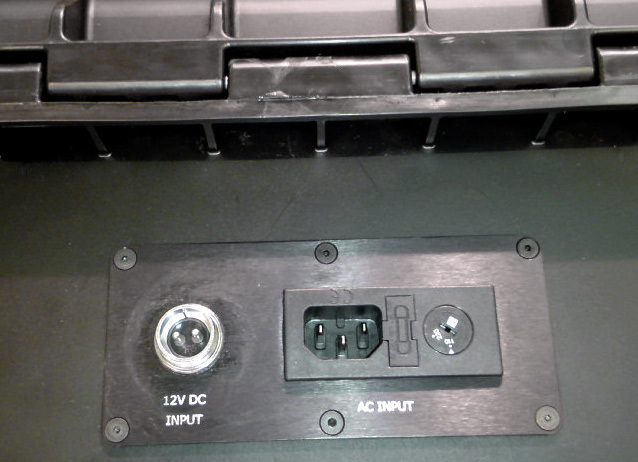 ・Weatherproof case with integrated charging station, AC power cord, car-battery power cord, and sling included. 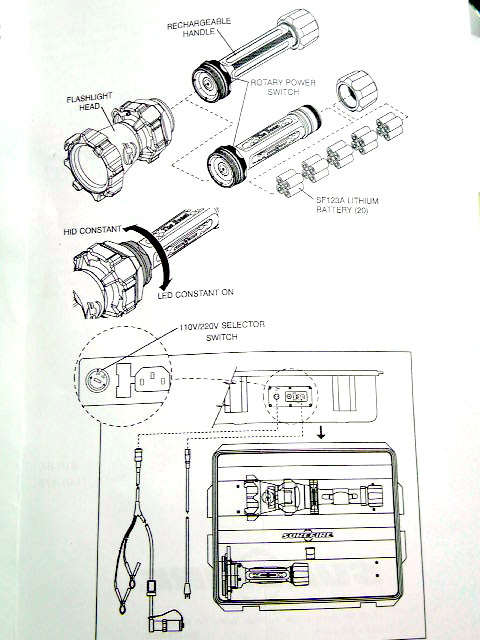 Runtime：HID high: 2*/1.25** hrs. 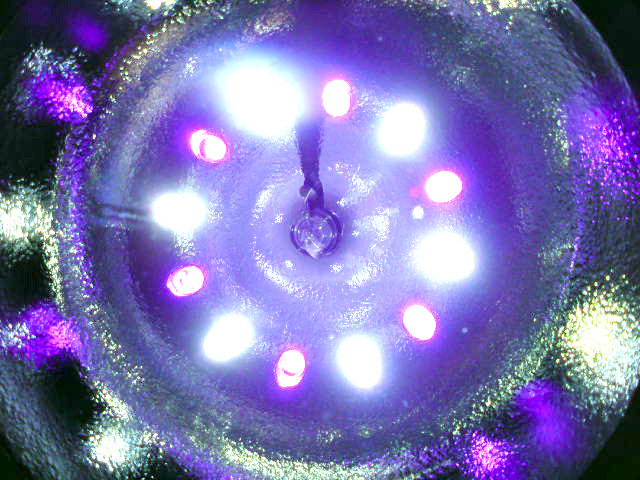 ／ LED low: 32*/20** hrs. 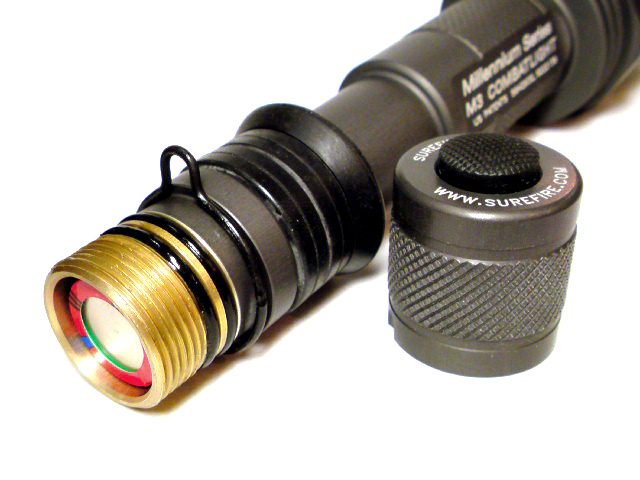 the light to be operated with a handgun, using the SureFire technique. 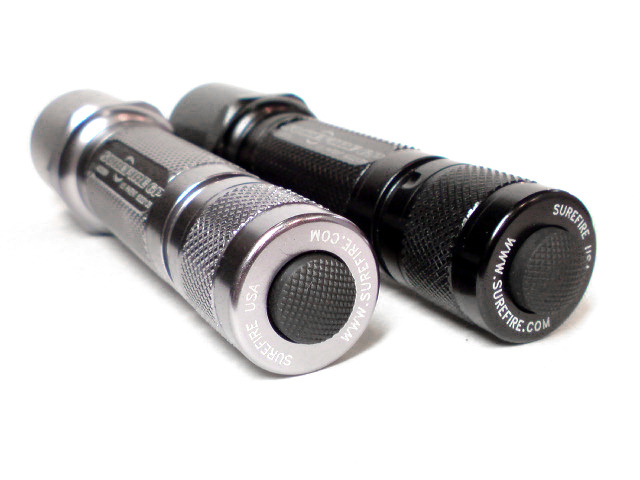 Compact (pocket sized), high-intensity incandescent flashlight for tactical and duty use or conditions requiring an enhanced grip. 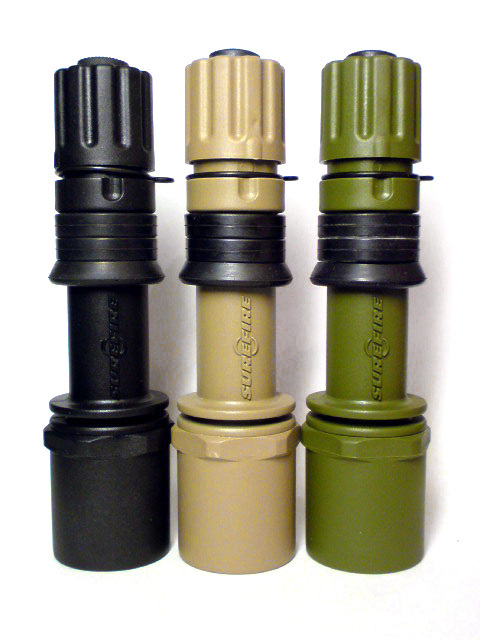 Similar to our C2 but slightly longer and slightly heavier due to integral shock-isolation system to withstand repeated recoil or impact. 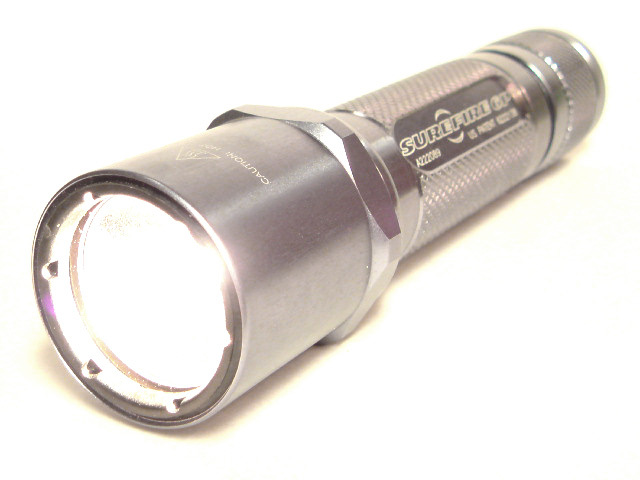 Puts out a smooth, brilliant, pre-focused, tactical-level beam with over three times the light of a big two-D-cell flashlight—bright enough to temporarily blind and disorient a person by impairing out his night-adapted vision. 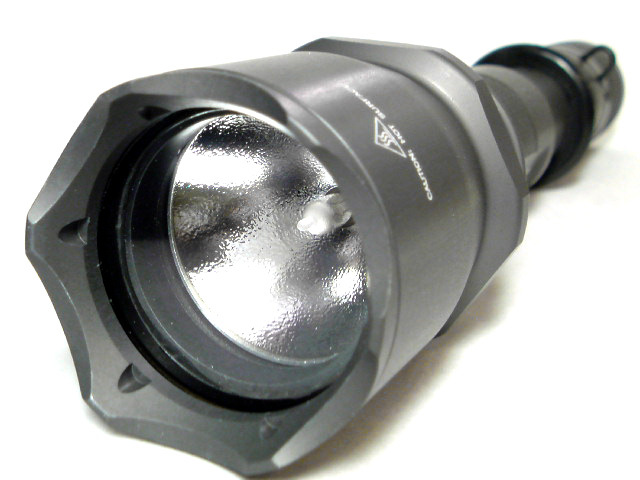 Light output may be nearly doubled with optional P61 lamp. 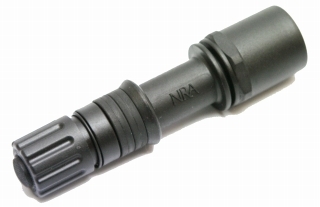 Patented, ergonomic rubber grip ring allows the light to be operated with a handgun, using the SureFire technique. 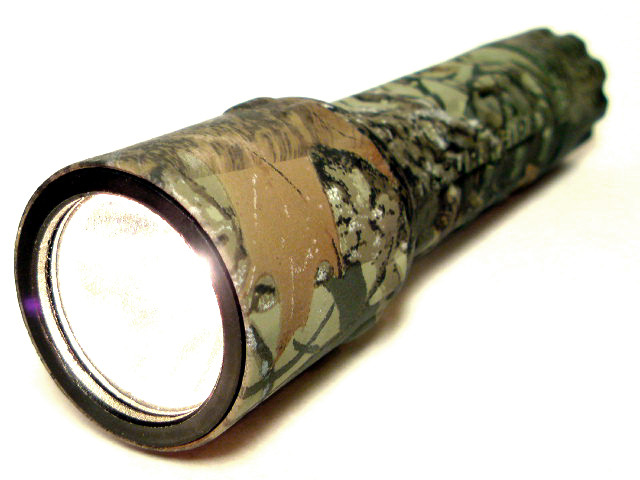 Compact (pocket sized), high-intensity incandescent flashlight that's similar to our 6P but with a tough polymer body covered with Realtree Hardwoods® HD™ for camouflage purposes. 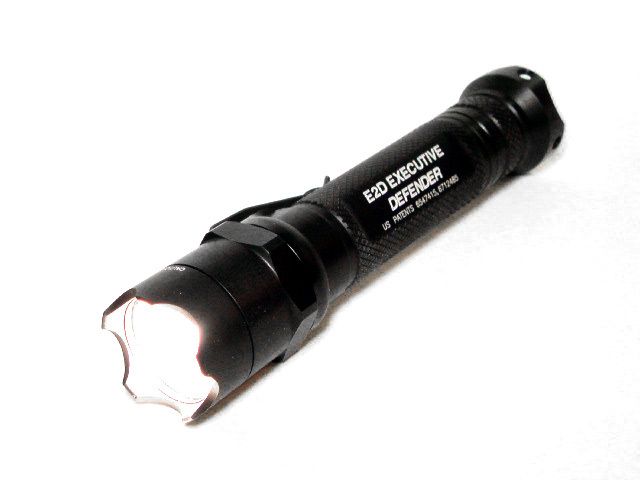 Puts out a smooth, pre-focused, tactical-level (bright enough to temporarily blind an attacker) beam with over three times the light of a bigger two-D-cell flashlight. 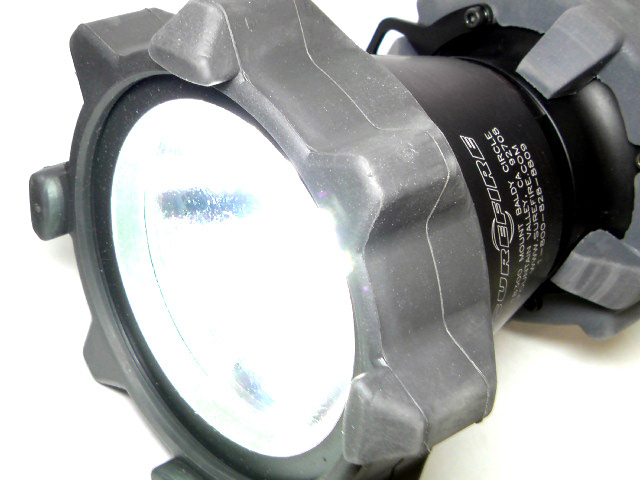 Light output may be nearly doubled with optional P61 lamp. 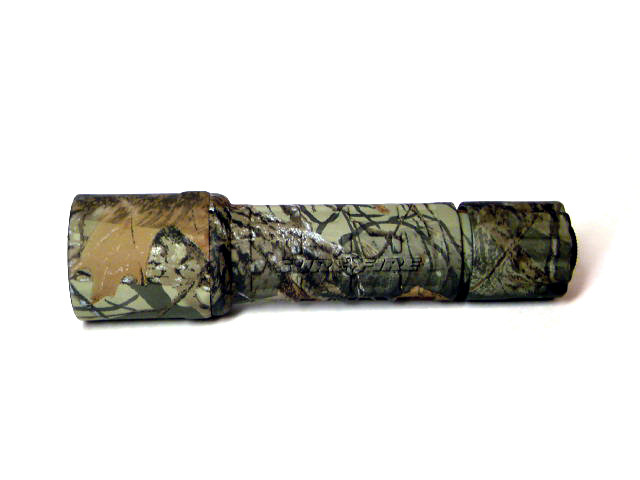 Small size, light weight, high output, and rugged camouflage coating make it a perfect for outdoors use or everyday carry. 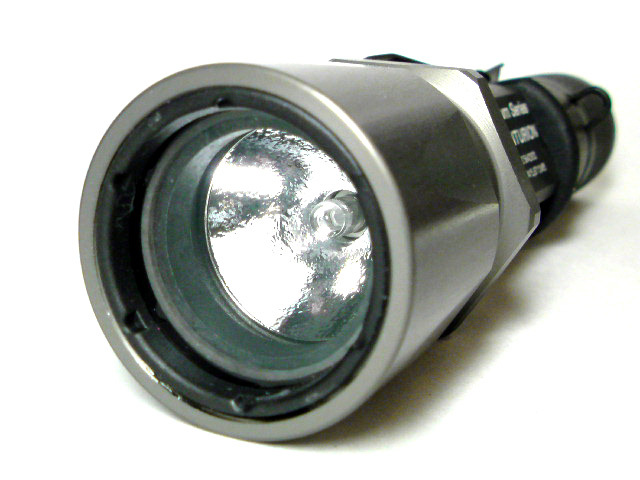 Compact (pocket sized), high-intensity, tactical-level incandescent flashlight with enhanced self-defense features. 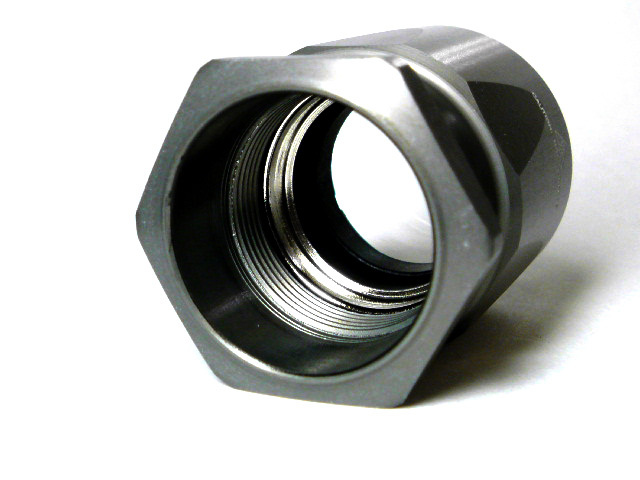 Similar to our E2E but with crenellated Strike Bezel™ for personal protection. 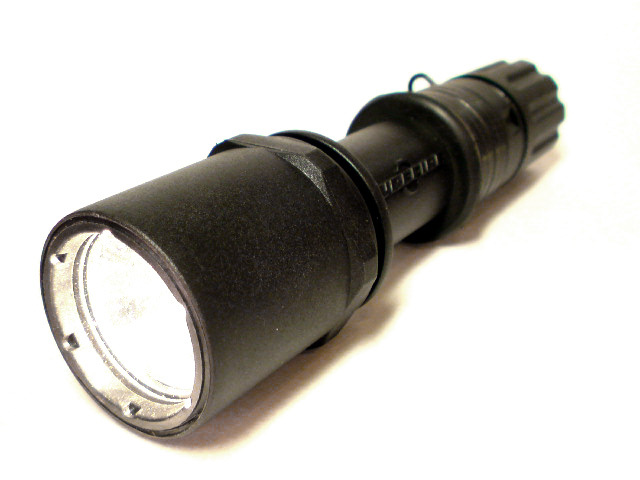 Produces a smooth, brilliant, pre-focused, tactical-level beam with three times the light of a big two-D-cell flashlight—bright enough to temporarily blind and disorient a person by impairing his night-adapted vision. 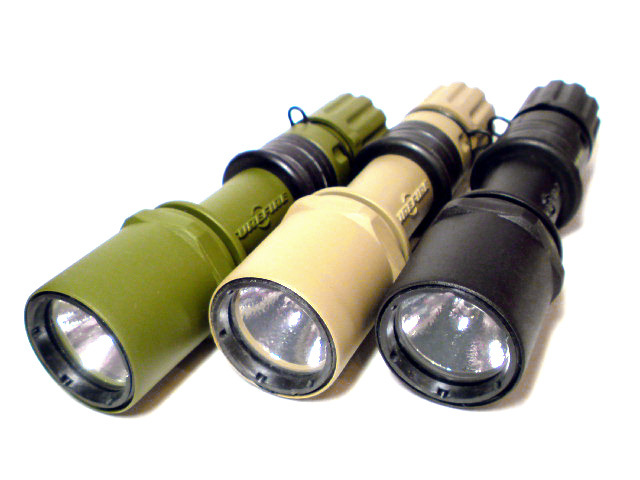 Small size and high output also make it a perfect everyday-carry light. 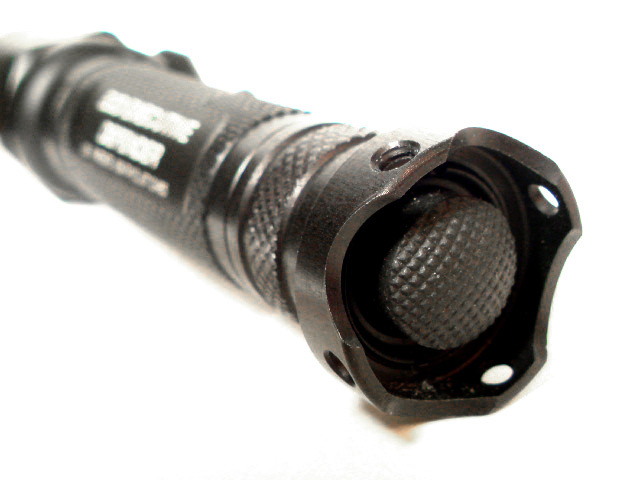 SureFire's incandescent pocket powerhouse—with teeth! 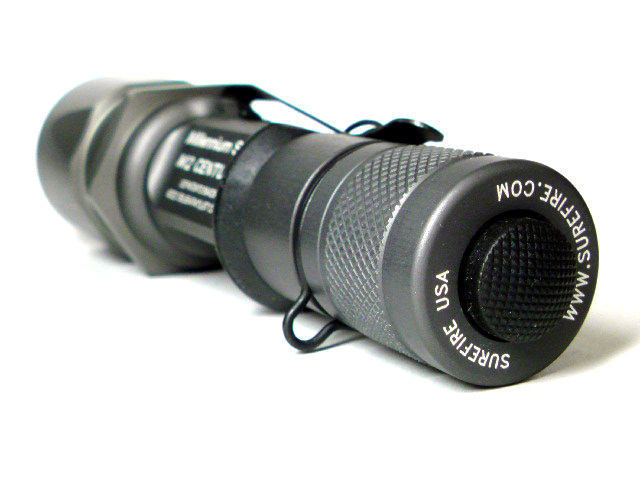 Compact (pocket sized), high-intensity incandescent flashlight for tactical, self-defense, and general use. 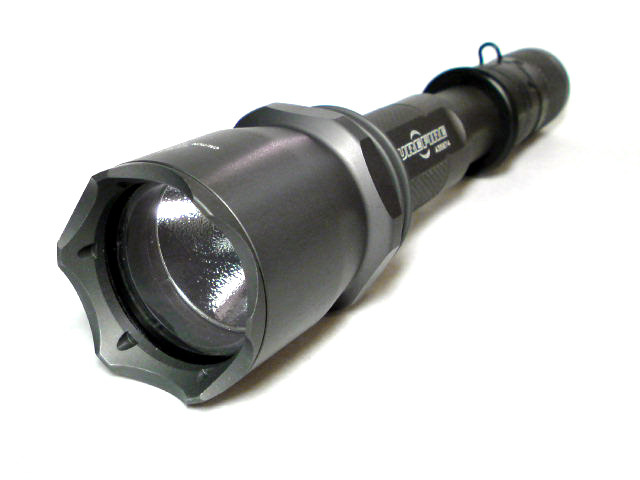 Produces a smooth, brilliant, pre-focused tactical-level beam with three times the light of a big two-D-cell flashlight—bright enough to temporarily blind and disorient a person by impairing his night-adapted vision. 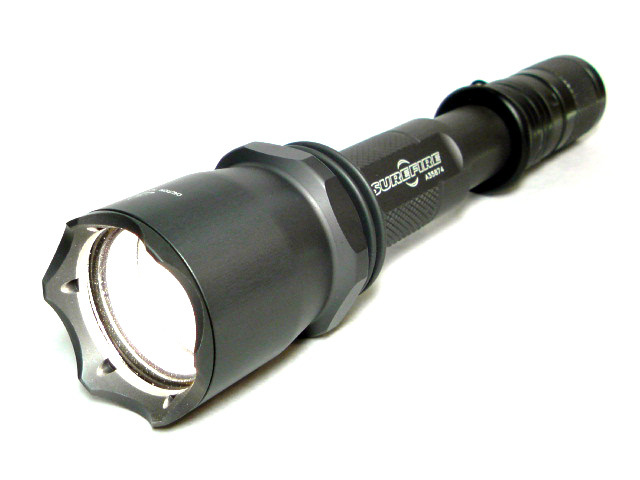 Light output may be nearly doubled with optional P61 lamp. 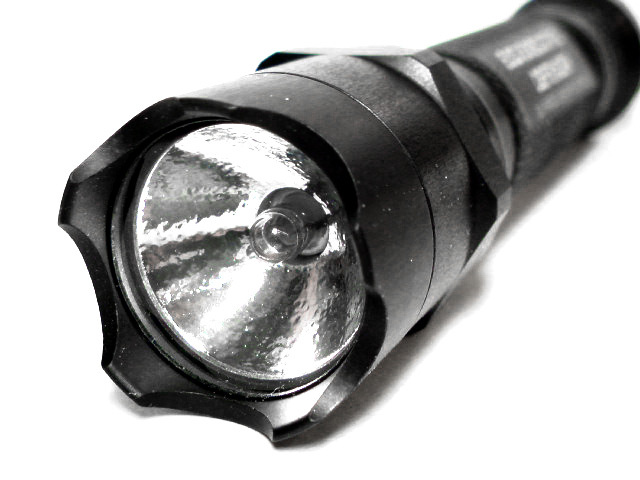 Small size and high output make it an excellent everyday-carry light. 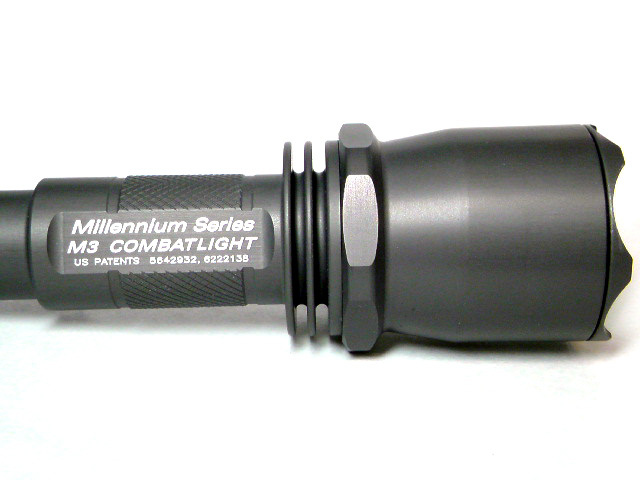 Compact (pocket sized), high-intensity incandescent flashlight for tactical use or conditions requiring enhanced grip. 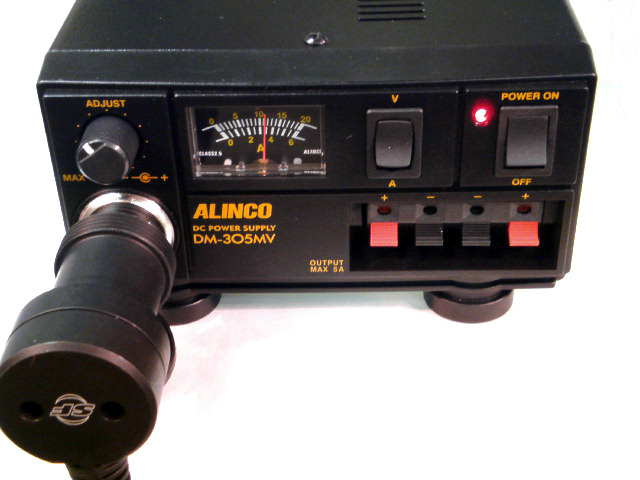 Similar to our Z2 but with a tough polymer body. 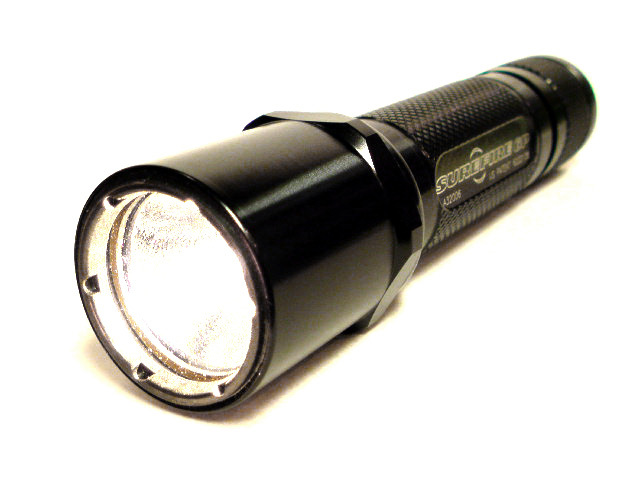 Produces a smooth, brilliant, pre-focused, tactical-level beam with over three times the light of a big two-D-cell flashlight—bright enough to temporarily blind and disorient a person by impairing his night-adapted vision. 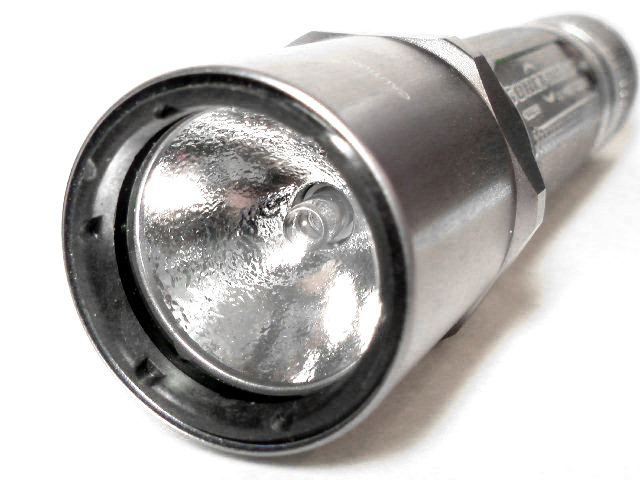 Light output can be nearly doubled with optional P61 lamp. 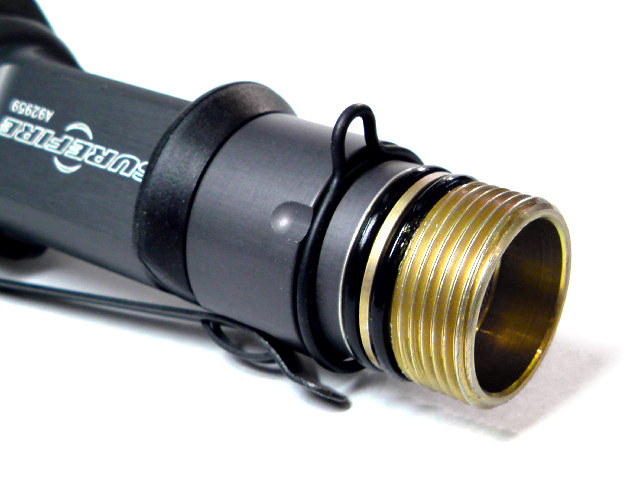 Patented, ergonomic rubber grip ring allows the light to be operated with a handgun, using the SureFire technique.